Our mommy and me group got together with moms, dads and babies for a taco party. Our gracious host requested margaritas, and when I offered to make them, but revealed I was going to use Jose Cuervo margarita mix – even though I have a cooking blog – I was told I could be forgiven. With that, I knew I had to do better. So I made three pitchers of this adult limeade and it was a big hit. (Note I got 3 pitchers by multiplying the recipe times 20). This recipe was originally Instagrammed on the Anthropologie blog – goes to show you never know where the inspiration for your next meal or drink will come from. This is really refreshing! And thanks Mary, Mike and Henry for a great party! 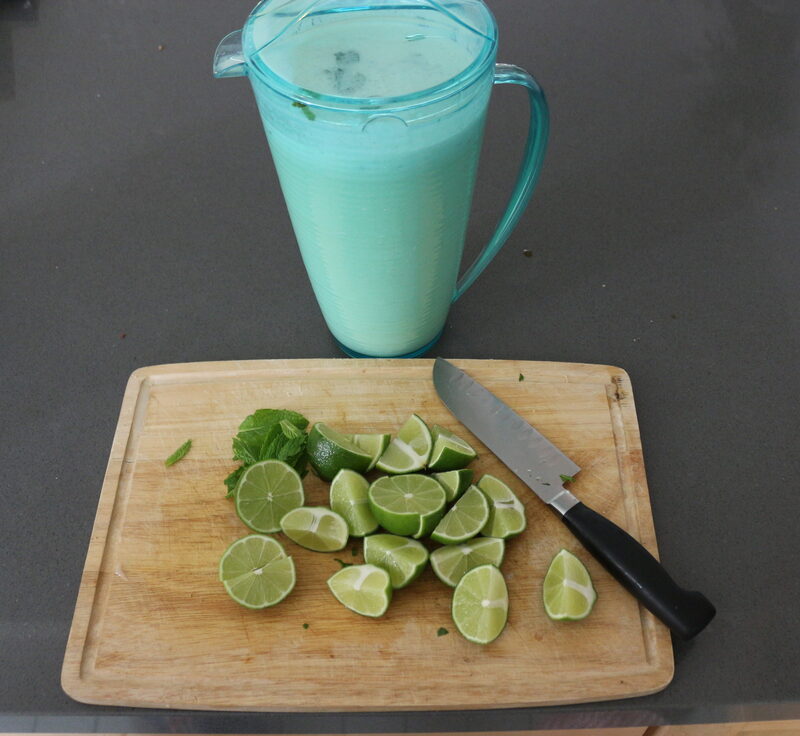 (1) In a blender, blend together the lime, half the coconut water, condensed milk and sugar. (2) Pour the lime mixture through a mesh seive so you remove all the lime chunks. (3) Mix the remaining coconut water and alcohol into the lime juice mixture. (4) Pour over ice and enjoy! *Note – I also made this with a meyer lemon. It was pretty large, so I tripled the other ingredients, and it was deliciuous that way too! I imagine it would also be nice with a regular lemon as well. This entry was posted in Drinks and tagged coconut, LiMeS, Rum, tequila. Bookmark the permalink.